For the bulk of last week at the inquiry, we heard much testimony from the two workers who went to Samantha Kematch’s McGee Street apartment on March 9, 2005, and spoke to her in the hallway outside her door after she denied them access. They were there to investigate Kematch for her potential abuse of Phoenix and look into the fact she may be locking her in a bedroom. They left without seeing Phoenix — and may not have even asked — but “warned and cautioned” Kematch (the terminology used is so curious) about locking the four-year-old in the room. Just for the sake of reference, I provide the following to orient those following the story. 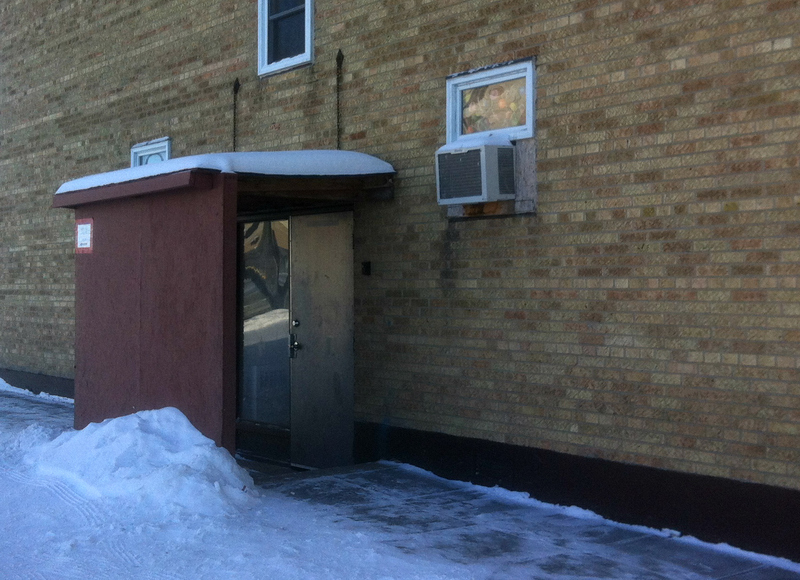 The apartment building in question has one way in — a locked metal door on the north side of the building. There’s no buzzer to allow entry, and the fire escape door is on the south side — it appears totally sit up — as in nobody would use it as an entry or exit. (Two days before the visit with Kematch another worker went by — twice — and couldn’t get in). To get to the apartment in question, Zalevich and colleague Bill Leskiw would have climbed a short flight of stairs from the exterior door and open and pass through a fire door. 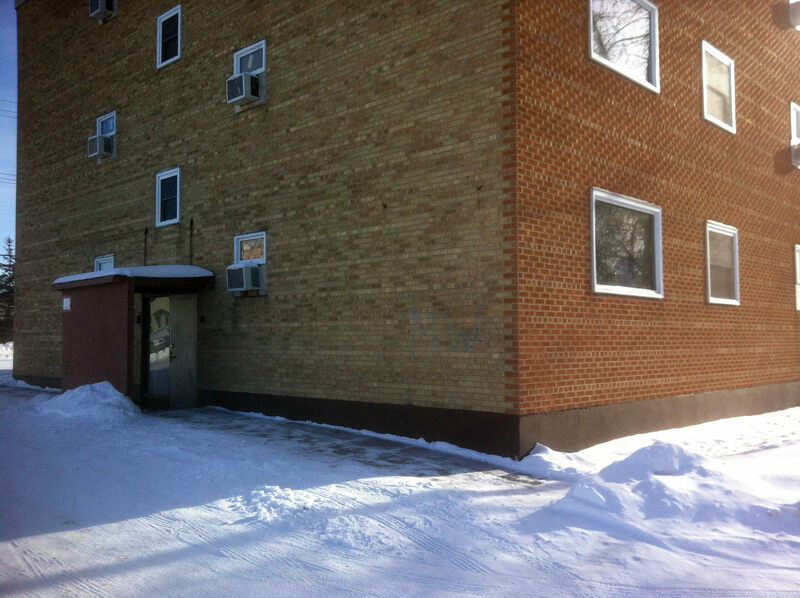 Kematch’s apartment was immediately on the left to that door. Currently, it’s not numbered, but the others on the floor are. The view into the one-bedroom apartment reveals the door opens directly onto a short hallway. To the immediate right is a bathroom, and the second door is a cupboard. The bedroom where Kematch was said to have been locking her daughter up is eight steps from the door and in plain view of anyone standing in the hallway when the door is opened. Kematch would have opened the door to the workers then likely shut it as they spoke. She would have opened it again when she went back inside to get the baby and then again to bring the baby out. 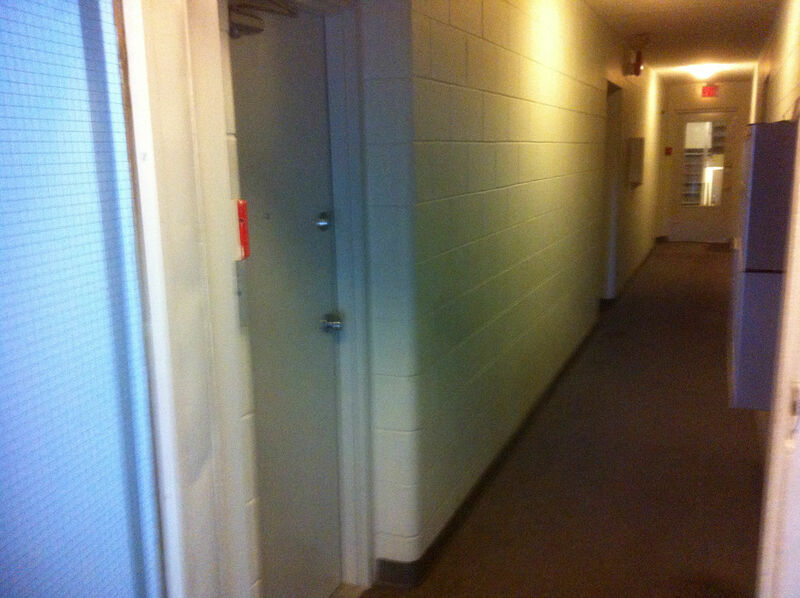 Kematch, not a small woman, would have obstructed their view of the hallway and bedroom door. She is not tall, however. Again, I present this just to orient people with what those workers would had physically seen that day and the environment they were in. My only comment would be to say that the hallway where they talked with Kematch is narrow to the point of claustrophobia — especially with three people jammed into it. I would have felt uncomfortable trying to have a private conversation there, but that’s just me. 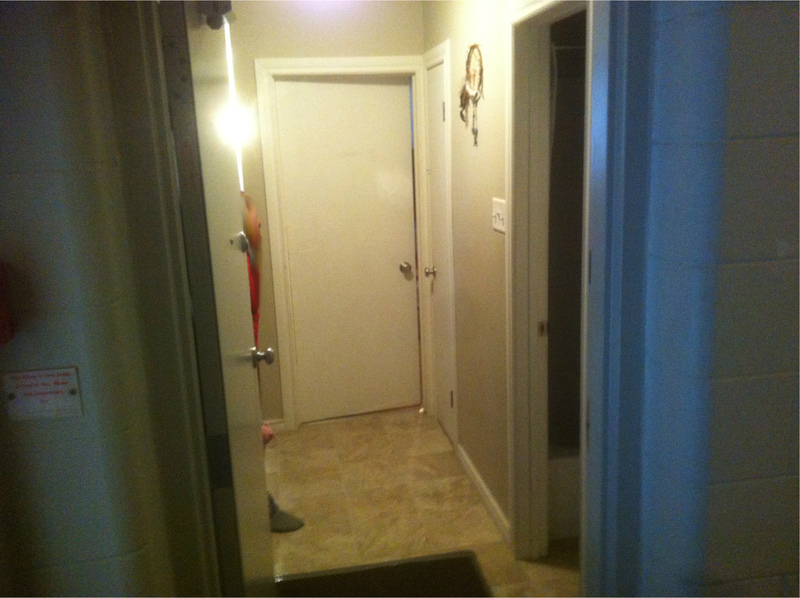 As well, it’s important to disregard the details in the photo – it’s been 8 years since they lived there and there naturally have been changes since — new paint, doorknobs etc. The white blob you see in the above picture was as a result of damage done to the bedroom door in the last few months and the new tenant patching it.